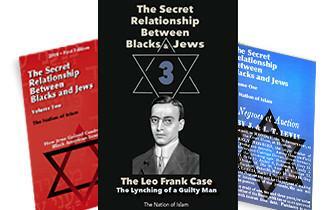 The Official Website of the Rockford Study Group, under the leadership and guidance of the Honorable Minister Louis Farrakhan. What's your opinion on this article? How to take Black businesses to the next level and why we can't wait. COLUMBUS, Ohio - Black-owned businesses still face an uphill climb in terms of financing, investment and support but the enthusiasm, resolve and willingness to grow was evident at a recent Black business conference. Over 1,000 budding entrepreneurs, established business owners and those contemplating delving into business ventures recently gathered for the 18th Black Enterprise Entrepreneurs Conference and Expo. A wide variety of sessions and panel discussions with the goals of advancing the development of Black businesses included, “How You Can Become Unstoppable—And Accelerate Your Business,” “Success: The Next Generation—Keeping Business in the Family,” “Your Product Here! Finding Your Corner of the Big Retail Shelf,” “Blogs, Apps, and Taking it Viral: Growing Revenue in the Age of Social Media,” and “Sisters, Inc.,” a session dedicated to Black women entrepreneurs to name a few. The conference was an opportunity for established Black business owners to share tips, expertise, do’s and don’ts. Bill Perkins, president and owner of Bill Perkins Automotive Group is not only a top car dealer in Ann Arbor, Mich., he is also the second largest minority-owned dealership in metro Detroit. His company is 100 percent Black-owned and grossed over $111 million in 2008, according to Black Enterprise. He shared his reason for going into business for himself. “I guess for me, starting out working for a corporation, I realized early on that I was not in control of my life. These people, they were paying me good money, but they controlled my life. ‘OK Bill we like the job you’re doing but you know, we’re going to promote you so we’re moving you to Los Angeles, California, we’re moving you to Kansas City, Missouri,’ ” he told workshop attendees on a the panel dedicated to generational businesses. Having worked several years for other car dealers, Mr. Perkins wanted to take control of his own destiny and struck out on his own. He is now training his son to take the reins of the multi-million dollar family enterprise. Jessica A. Johnson is president of Johnson Security Bureau, family-owned since 1962. Ms. Johnson took over the family businesses when her grandmother died. She said the sense of community and affinity for family business her grandparents had down South never left when they moved to New York. “They instilled in us the importance of doing business with other family businesses. So for example we listed to WBLS and WLIE, the Sutton family, we went to and met at Sylvia’s and we would see Mrs. Woods and her other family members working around the restaurant. They took pride in publications like Black Enterprise, Ebony and Jet to support the Johnson family (no relation),” said Ms. Johnson, who will be honored with a “40 Under Forty” award June 13 The Network Journal, a New York-based magazine dedicated to Black professionals. 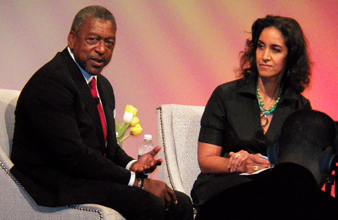 The company also received the 2013 Black Enterprise Family Business of the Year award at the May 15-19 gathering. “We were able to see successful family businesses, we were able to be a successful family business and now we’re able to present and demonstrate to our community what it means to be a successful family business. So the culture and community aspects are very important,” she said. The importance of Black business in helping to uplift the community in terms of addressing societal issues cannot be understated. History has shown, despite harrowing and tough times in hostile environments, growth and support of Black-owned businesses, translates into substantive progress in the Black community. From the Black business boom right after Reconstruction, to 1920s Black Wall Street in Tulsa, Okla., to the vast businesses entities of the Nation of Islam in the 1960s and 70s, economic growth in Black communities resulted in progress in politics, employment, education and family. At the root of those economies, were Black people supporting Black business. It was often viewed as a catalyst to begin solving the problems plaguing the community. The same holds true today, said Toure Muhammad, an entrepreneur, online marketing expert and owner of Bean Soup Times. Black entrepreneurs and business owners must look at themselves as problem solvers, he explained. “You really have to have a genuine love and love of your people and a desire to solve a problem that the people have as opposed to just being in it to make money. The key to success in business is to find a problem, then solve it and then get people to patronize you on a regular basis. It’s really just that simple, but of course it has to be done from the right spirit,” he added. Yet, the amount of money Blacks have and subsequently spend shows unlike the past, most of the money is not being targeted toward Black-owned businesses. Unlike other communities, the dollar barely circulates once among Black folk. Today, the projected buying power of Blacks in the U.S. of $1.2 trillion and the 2011 income of Black consumers of $836 billion show that despite current tough economic times, it is a community that has money its willing to spend. The number of Black-owned businesses has seen a 60.5 percent increase over the past decade. According to the U.S. Census Bureau from 2002-2007 the number of Black-owned businesses jumped to 1.9 million bringing in total receipts of $137.5 billion, merely a fraction of the purchasing power Blacks wield. Of the 1.9 million businesses, only 106,824 had paid employees and 14,507 had $1 million or more in receipts. Black business owners, perhaps because experiences of family or loved ones, are many times more willing to hire ex-offenders and neighborhood youth from the neighborhood, said Toure Muhammad, a fierce advocate for Black business. With 16 million wage-earning Blacks contributing a nickel per day, or 35 cents per week, over $291 million could be raised to invest in farmland and manufacturing to build and invest in businesses and fund various programs and operations, the Minister explained. While in Detroit in mid-May, Min. 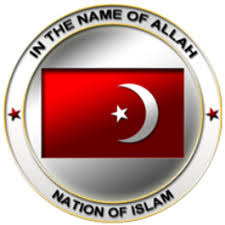 Farrakhan reiterated to the city’s leadership and community that by working together and pooling their financial resources, they could purchase thousands of abandoned buildings and land to begin to rebuild and regenerate the once bustling metropolitan area. “The true measure of wealth in a community is in its ability to produce those willing to ‘be’ the return on the investments that others made before them. Today’s African-American business owners provide this return by garnering a sense of pride and productivity in their communities, giving young people a direct object of aspiration and, more practically, providing a place for (often) disenfranchised people to secure employment. A community with multiple small business owners can actually be seen as a sign of a healthy community,” noted www.tnj.com, The Network Journal’s website. 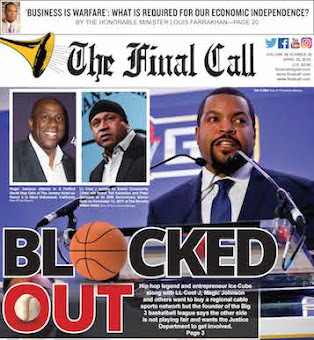 The realm of possibility successful Black entrepreneurs open up in the minds of young people offer endless possibilities and can instill a sense of pride and dignity, explained Mr. Muhammad, a past attendee of the Black Enterprise Conference. “The more people see of us in business, the more our young people start thinking about creative ways they can go into business and when they are younger and have that kind of idea already because they see examples of it, then they’re more focused in school,” he said. Many Black entrepreneurs’ he knows are always thinking about ways to give back, which is why targeted spending of some of that that $1.2 trillion with Black business is key. “There are a lot of Black folks that are already thinking about what they can do to outreach. They want to start a foundation. 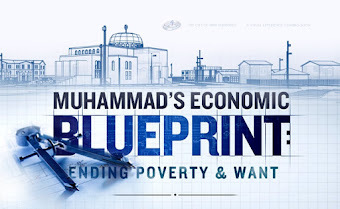 Some people have started a business because they want to create a homeless shelter and they know they can’t do it on their job so they’re trying to create an additional source of revenue that will help them to build a homeless shelter or a place for single moms, newborn children,” said Mr. Muhammad. “They’re so many positive things that can happen when people are in our communities, who have a love for the community and who care about the community, have money in their pocket as opposed to those who don’t care. So, the more we support those businesses that are in our community that look like us then the more opportunities to improve education, even by just donations to the schools, in creating nonprofit organizations that will help solve the problems,” he said. If you walk in the footsteps of Jesus, then there is a price to pay (READ JOHN 7:12-13 & MATTHEW 12:14 in your King James Bible), you can watch the Saviours' Day keynote address here in its entirely (Click photo to watch). Support the Rockford Study Group "Chair Fund" with a $22 donation today. Order your Supreme Bean Pie today! Visit Kikifer's Beauty Supply in Rockford at: 3424 N. Main Street. Click photo to view your Rockford Black owned and produced hair and skin care products or call (815) 708-7082. 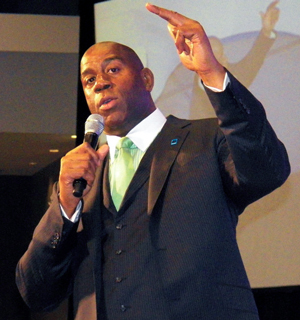 More and more, Black athletes and entertainers are looking to expand beyond the field of expertise that gained them fame, notoriety and riches, and leverage these positions to help them make their same mark in the world of business. There are Black people who successfully transitioned from their respective art or sport, turning themselves into well-respected businesspeople and a positive example of what entrepreneurship looks like. The life of the late rapper and entrepreneur Nipsey Hussle personifies this point. 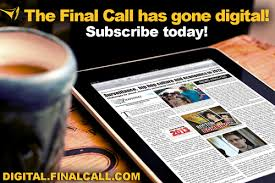 The Final Call has gone digital! Subscribe today! JOIN BLACK AMERICA'S NATIONAL SAVINGS CAMPAIGN! To learn more about this tried and tested program and its successful results, click photo. 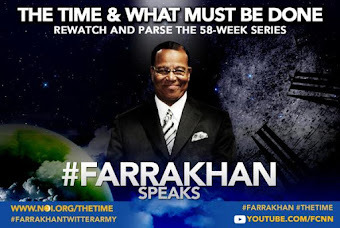 REPLAY this powerful and timely 58 week series. Add these compelling books to your library today. 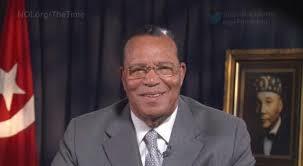 Minister Louis Farrakhan on Neo-cons, Iraq and the "War on Terror"